Toni Huata, Ngāti Kahungunu and Rongowhakaata, has been appointed to the newly established role of Kaihautū Puoro Māori - Director of Māori Music at SOUNZ Centre for New Zealand Music. Ms Huata says, “I'm very happy to support SOUNZ in this new role and acknowledge all that have contributed towards the fruition of this journey. I look forward with much excitement to connecting and collaborating with many organisations and composers in this coming year; highlighting our uniqueness yet commonality from our special place in this world - Aotearoa. Toni Huata brings a wide variety of skills to this role, including manager, director, producer and performer. Toni is well known within the culture sector in New Zealand as a practitioner and promoter of Māori culture, music and performance. She has served in governance roles with Te Runanga o Ngāti Kahungunu ki te Whanganui ā Tara, Pūatatangi - Toi Māori Aotearoa, Taki Rua Productions, Ngāti Kahungunu Iwi Incorporated and other iwi and Māori agencies. SOUNZ would like to thank the Lottery Grants Board and Te Taura Whiri i te Reo Māori for their support of SOUNZ's Māori Music Strategy and this role. SOUNZ Centre for New Zealand music works to champion the music of New Zealand’s composers. SOUNZ is home to a diverse and vibrant collection of information, scores, recordings and films of New Zealand music and performances. Creative collaborations with partner organisations such as the New Zealand Symphony Orchestra, RNZ Concert, APRA and NZ On Air highlight the organisation’s ongoing growth and development through events and projects that promote the music of Aotearoa to national and international audiences. NEW ALBUM Te Rerenga & NEW VIDEO - HĀ - Breathe! to dance against the odds. Cast: Toni Huata, Adrian Wagner, Te Okanga and Ropine Huata-Wagner; Lois Reid, Maureen Collins-Lucic, Kelly Te Moananui, Te Aranga, Tyler and Rina Mata; Arohanui Watene, Chris Clegg, Matt Renata, Tui Innes, Nicky Finn, Timon Zeiss, Christine Godetz, Sophia Stephens and Stainton Anderson. Proudly supported by Te Māngai Pāho and with many thanks to Motion Valley, cast and whānau. Hot on the heels of a very busy Matariki season and Māori Music Month. Which not only saw Toni Huata performing new works throughout Aotearoa, but also the release of both her new video singles ‘AIO’ and ‘WAIORA’. Toni is delighted to announce the upcoming release of her new album. - A night of Music, Kapahaka, Dance and Slam Poetry, in celebration of both Toni’s album release and Māori Language Week. Entry by Koha, RSVP to Waahuu@xtra.co.nz is essential. WAIORA - A New Video for Māori Music Month! Announcing the video release of ‘WAIORA’ by Toni Huata. In the wake of a busy Matariki season, which saw Toni Huata performing new works throughout Aotearoa. Toni in celebration August’s Māori Music Month, will be performing this weekend as part of ‘New World’, at ‘Aotearoa’s Most Talented’ on 16th, Te Mata Peak on 18th, ‘Te Reo Ki Tua’ on 23/24th and is very happy to announce the release of her new video ‘WAIORA” from her upcoming album ‘Te Rerenga – The Journey’ due for release during Maori Language Week 10-16 September 2018. This stunning video by Motion Valley, features Oribe Maipi, in search of her truth and being drawn to what rejuvenates her and in the end what replenishes the land. It debuted exclusively at the Wairoa Film Festival in June and featured in the Māori Film Week in July. Many thanks to Te Māngai Pāho, Paddy Free and Motion Valley for their support and the stunning locations of Wainamu and Studio63, ngā mihi aroha ki a koutou katoa. New Video - AIO out now! Announcing the ‘AIO’ video has released! - Sign in, View, Like, Subscribe and Share! It’s been a busy Matariki season already for Toni Huata. Having performed her new single ‘AIO’ as part of Wellington City Council's Matariki events 'Ahi Kaa' and 'ReCut5' along Wellington's waterfront and within many Matariki events around the country. Toni has also launched ‘AIO’ live at the ‘20th Wellington Gold Awards’ and screened 'AIO' especially at ‘Te Wiki o Kiriata Māori’ in Auckland. ‘AIO’ will be heavily featured in this Saturdays closing ceremonies, where Toni will premiere seven new songs from upcoming, yet to release album ‘Te Rerenga –The Journey’, as part of the festival closing ‘Matariki Sky Show’ fireworks extravaganza, all a part of the Matariki ki Pōneke festival. To celebrate this, we are delight to announce the release of her beautiful new video and single ‘AIO’! Seeya later NZ Music Month & Kia ora Matariki! Welcome to new friends! This is our first newsletter for a while and there’s been so much going on. 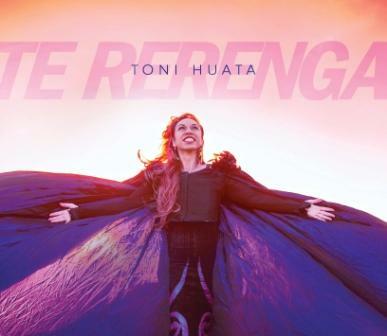 Toni launches a new website www.tonihuata.com on Tuesday June 5th at 12pm and has have been back in the studio recording new waiata and remixing favourite tracks with producer Paddy Free and friends. The new 15 track album is called TE RERENGA - THE JOURNEY! Look out for teasers of every track when the new website goes live! With many thanks to Te Mangai Paho, Motion Valley, NZ School of Dance, all cast, crew, locations and whanau support. With the Summer festival season well under way and we want to wish everyone safe travels to these various, exciting events. So much has happened where Toni featured in the World of Wearable Arts, travelled overseas to the Hawaii Islands, performed around NZ with Tākitimu Karanga where this tour was a finalist in the Te Taura Whiri i te Reo Māori – Māori Language Commission Language Awards and Toni has begun her 13 track music project due for release in May and shoots 5 music videos in March all supported by Te Mangai Pāho – The Māori Broadcasting Agency. One of the bigger projects Toni is producing this year is the renowned PAO PAO PAO concert. Toni has just finished a series of stunning shows completing her tour and the Matariki season. Many thanks to #StephenACourtPhotography for this pic above from this magical evening in the WellyReCut Show and to Ropine Huata-Wagner for the pic below. Toni has spent the last month writing and composing and we thank Te Mangai Paaho for their support to 13 tracks and 8 music videos that Toni will start in November. 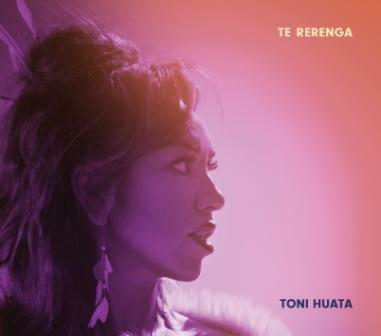 Maori Music Month is upon us and Te Taura Whiri i te Reo Maori celebrate 30 years and Toni received news that she is a FINALIST in this years WAIATA Maori Music Awards on Sep 15th in Hastings. Soon Toni starts rehearsals for The World of Wearable Arts opening Sep 20th to Oct 8th before travelling to Hawaii. Wairoa Film Festival - Mohaka & Matariki! to honour our Mums on Mother's Day.